BEIJING — Asian stocks rose Wednesday after Wall Street edged higher on news the U.S. Federal Reserve is in no hurry to raise interest rates. Japan's benchmark fell after the country reported declines in both exports and imports in July. KEEPING SCORE: Hong Kong's Hang Seng index rose 1.7 percent to 23,191.49 points and the Shanghai Composite Index advanced 0.2 percent to 3,114.57 and Seoul's Kospi added 0.4 percent to 2,052.46. Benchmarks in New Zealand and the Philippines also rose. Tokyo's Nikkei 225 shed 0.5 percent to 16,664.13, Sydney's S&P-ASX 200 lost 0.6 percent to 5,503.50 and Taiwan and Singapore also declined. WALL STREET: Stocks closed higher as big gains for utilities offset losses for retailers. After falling in early trading, indexes reversed course and gained after the Fed released notes of its July meeting that showed officials said a rate hike might be warranted but gave no indication of timing. Low rates have pushed up stock prices and any change might cool investor enthusiasm. 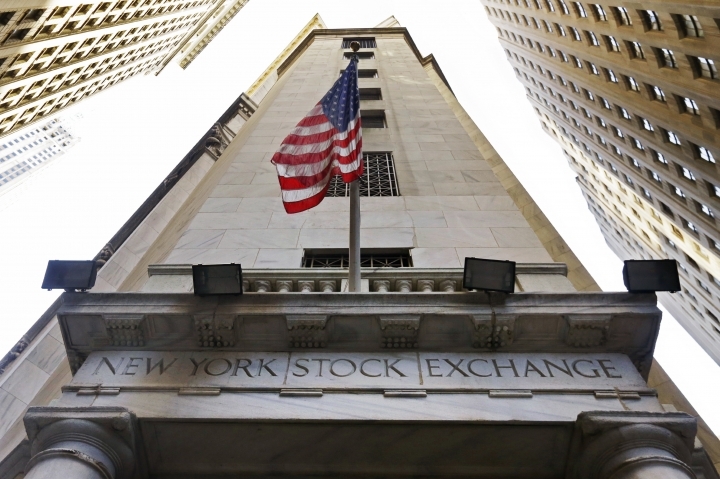 The Dow Jones industrial average rose 0.1 percent to 18,573.94, the Standard & Poor's 500 index gained 0.2 percent to 2,182.22 and the Nasdaq composite inched up 0.03 percent to 5,228.66. ANALYST'S TAKE: "There is clearly strong disagreement within the Fed with regards to the timing of further rate hikes," said Angus Nicholson of IG in a report. "Despite some members saying that an immediate hike is appropriate and some saying one would soon be warranted, the more cautious members of the Fed said that they would have 'ample time' to react to a rise in inflation. This does seem to be a noticeable a change from the previous concern that the Fed may 'overshoot' the inflation target." JAPANESE TRADE: Both exports and imports in July suffered their biggest one-day decline since the aftermath of the global crisis in 2009. Exports sank 14 percent from a year earlier while imports plunged 25 percent in a sign of persistent weak domestic demand. The rise in the yen to about 99 to the dollar has made imports cheaper but Japanese goods more expensive for foreign customers, hurting an economic recovery. The trade decline by volume was milder, with exports falling 2.5 percent while imports declined 4 percent. US RETAIL BLUES: Consumer companies reported weak results and cut profit forecasts. Home improvement retailer Lowe's reported a smaller-than-expected profit. That company and Target both lowered profit forecasts. Office supply retailer Staples disappointed analysts with forecasts of sales declines. Barnes & Noble tumbled after the book seller said CEO Ronald Boire is leaving after less than a year in the job. ENERGY: Benchmark U.S. crude shed 8 cents to $46.71 per barrel in electronic trading on the New York Mercantile Exchange. The contract climbed 21 cents on Wednesday to close at $46.79. Brent crude, used to price international oils, fell 20 cents to $49.65 in London. It jumped 62 cents the previous session. CURRENCY: The dollar edged up to 100.07 yen from Wednesday's 99.84 yen. The euro strengthened to $1.1314 from $1.1298.